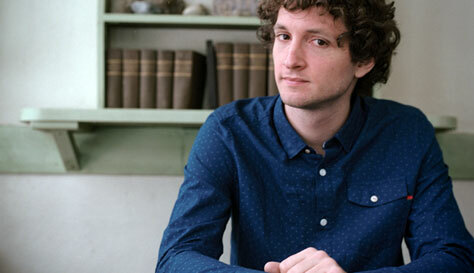 We’re delighted to be working with Sam Amidon for the first time. Amidon began to incorporate storytelling and elements of movement, particularly a kind of intense ‘liturgical’ dancing, into his shows. He has appeared at experimental venues like Chelsea’s The Kitchen, collaborated on performances pieces with musical polymath Nico Muhly, and toured as part of Thomas Bartlett’s group Doveman. Most recently, he embarked on a series of live shows with the similar-minded guitarist Bill Frisell. Support comes from Manchester’s own Olympian. Takk is an excellent new Icelandic-inspired coffee house on the edge of the Northern Quarter. Complimentary tea and coffee is included within the ticket price, with other refreshments available to purchase. Buy tickets now with no booking fee. Tickets are available from Common (no booking fee), Piccadilly Records, Vinyl Exchange, Seetickets.com, WeGotTickets.com,Ticketabc.com, Ticketline.co.uk and on 0871 220 0260.